On May 3, 2018, Brayan Rodriguez-Valtierra, 19, pled guilty to the first degree felony offense of Murder and agreed to a 50 year prison sentence without the possibility of appeal in the 435th District Court, Honorable Patty Maginnis presiding. During a busy court docket on Thursday, May 3, 2018, the Victim’s family heard the words they longed to hear since February 7 2017, the Defendant admitting he was “guilty” of murdering victim Pete Figueroa Jr, 67. The victim’s family also got the satisfaction of witnessing the Defendant get sentenced to a prison term of 50 years. After the plea, the Victim’s daughter directly addressed the Defendant during a victim impact statement. During that statement, the Victim’s daughter expressed the pain her family has felt since losing her father to such a senseless act. The Victim’s daughter also stated that the Defendant’s plea of guilt and punishment brought closure to her family and was the first step toward healing for both her family and the Defendant. 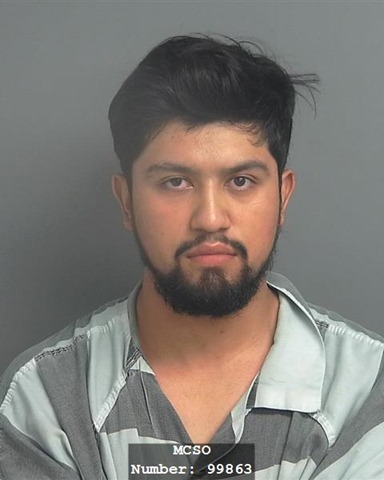 On February 7, 2017, the Victim’s body was discovered in the Defendant’s car in a strip center near FM 1314 and Highway 59 in Porter. The Victim was shot in the face with an airsoft gun, strangled, and left for dead by the Defendant. Detectives Keith Echols and Donna Rippley, along with CSI Mark Wright with the Montgomery County Sheriff’s Office, with the help of the Texas Rangers investigated the homicide and determined this was in fact a murder. The investigators found the Defendant used to be the Victim’s roommate and the Victim was kicking him out. The Victim’s bank records showed the Defendant had made three withdrawals from the Victim’s account after murdering the Victim. Investigators were able to track the Defendant through the use of his cell phone. The Defendant’s cell phone GPS also placed Defendant near the scene of the crime on February 7, 2017. The Defendant’s DNA was also found at the crime scene. Chief Prosecutor Vince Santini and Investigator Gale Echols with the Montgomery County District Attorney’s Office also made the scene on February 7, 2017 and aided the Montgomery County Sheriff’s Office and Texas Rangers with the investigation.